I have been called eccentric by those that listen and have good vocabulary. I get weekly emails from artist, writer, Robert Glenn. this one cautght my eye, as it was about eccentricity. “The two main types of eccentricity are “genuine” and “phony.” If you’re sensitized to human nature, you’ll find excellent examples of both types among your friends. Then there’s the grey area where some folks start out phony and end up genuine. But that’s another story. More than one person has laughed at the fact that I still keep a written appointment book. I love paper. I like the feeling of my hand on it. Over the past few years, my journal and my appointment book have become one. Each January I ponder what to use for an appointment book. It never makes it past January. It gets lost someplace in the back of my car. The appointment book goes unnoticed or is too heavy for my handbag. I finally upgraded my phone to one that will act as a decent appointment book as well as a phone. I got a Samsung Behold. It has a touch screen. I have loved a touch screen for a long time. It is a great little phone. I chose not to have all of the data capabilities of email and Internet. After living with it a couple of weeks, I am really okay with that part. I like the calendar, memo and texting on a qwerty keyboard. One of the best features is it can handle 16 gb on an SD card. I can use any MP3 to make a ring tone. My current ringtone is Avishai Cohen, “Smash“. I like hearing my phone ring. Appointments and the reminders I require to function are handled between Yahoo calendar and the phone. If it is on Yahoo, it is text to my phone. I can add appointments and reminders directly to my phone. There is also the possibility to write brief journal entries or memos. I can work with this little phone. Presently it is sporting a black gel skin to protect it. There are a million aftermarket skins and case covers made to fit the phone. I can one day have a leopard print skin on the Behold. As far as paper goes, my journal took an upgrade to the past. I went back to painting the pages. Life plans can still be found there. Journal upgrade and phone upgrade. Ahh, life is good. Wow. I am not the only one with angst when it comes to big box stores being the only fabric stores in town. Lindsey T. has had some interesting visits. She is so lucky, she is able to shop the garment district in NYC. It appears she visited a Joann when out of town that was nice in comparison to the one near her home. Just think, she mainly goes to buy patterns. Her rant sounds so much like my experiences in Hancock Fabrics. the ragged pattern drawers are the same. Joann is not nearby. I don’t want to make the excursion for fear I will be disappointed. Hancock’s has an up coming Vogue pattern sale, April 9-12. Vogue has new patterns coming out the first of April. 2. I will be flabbergasted if they have new patterns in the drawers. The Hancock sale is 75% off! I still hold out hope. I must at that price. I already know that Marcy Tilton has a new pattern I would like to have. I too hope that people from Joann and Hancock take the time to Google and see what customers are saying. Each month I make a sewing plan. I call it the “Table”. It refers to what is on my sewing table for the month. The April Table has been set. I know I need work slacks and tops. I have come to love my own T-shirts and knit blouses more than most I will buy. I have made a dedication to improving my pant making skills. My idea of making pants was front, back, elastic waist and maybe a pocket. They were afterthoughts. Now I am looking at more “couture” in my pants. I made a princess seam denim trouser using the Sandra Betzina pant pattern. It turned out really well with exception of making it a little large. I will make it again. I also made another Alice and Olivia. This time it turned out far better than the first. It is in a worsted gray. Erica Bunker made a beautiful Badgley Mischka pant. I have got to try it soon. Definitely I have found that using better fabrics helps. Somewhere real soon, there should be an Easter suit. The time has creeped up on me for that outfit. It will definitely be made from stash. I have some dupioni I may use for that project. One of the many things I love about sewing is the ability to meet these little occasions of life with a new outfit. There are a few things that go along with spring break. One gets the opportunity of a leisurely three hour wake up. That is when you can spend the better parts of the norning reading the news online as well as watching on television. You can find wonderful new websites and visit others you have not visitied in a long time. It is the time to have that third cup of coffee and then decide to cook breakfast. All of this is possible wiwth spring break. This is the time to paint your nails blue and listen to all of the old cds you ever wanted to listen to. “Bring it On” by Seal became an unexpected favorite for the week. Before you know it the week comes to a conclusion. You look at your “A” list of things to do and wonder where the days went. In my case, I smile. I maybe did not get to as much of that “A” list as I would have liked to boast, but I had a wonderfully blessed week. Now that one bud looks like this. Spring has sprung in the STL. 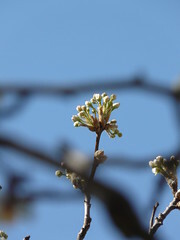 In the course of one mere week, foliage has appeared on trees and shrubs. It is a marvel that we have each year. It is the crowning glory of my Spring Break. No swimming in Mexico or gambling in Vegas, just marveling at how the world can come alive in a few short days. It is Spring. Today, so far has been wonderful. I am fitting the pants to my Tea suit. The suit is still without a blouse, but that will work it’s self. I am well on time to having it for the occasion this weekend. I am using the pant fitting method from Threads fFtting DVD Series. I got a free preview DVD with this months copy of Threads. Good information. I am sure it will turn out famously. I am using my partially self drafted TNT pant pattern. Love Apartment Therapy. It is not all apartments and temporary things. Truth be said the name should change. Regardless, this idea was worth documentation. This is a very nice idea for hiding a television. One day soon the bohemoth sized analog I own will cease to operate. It is too much of a fixture in my small living room. This is a novel idea. I will keep this one for future consideration. Let us go enjoy Spring. Official beginning is at around 6 am tomorrow. I want to do a Blurb Book. Blurb lets you self publish your own book. I want it to be a retrospect of past years in my photography. I am no Annie Leibovitz, (I ADMIRE her photographs) but I enjoy what I do. I have been slacking off as of late, but really need to get back in a regular swing. Milder weather of spring and longer days will be of aide to me. Another idea for a Blurb book would be my “What to Wear” journal. I could actually explain myself. 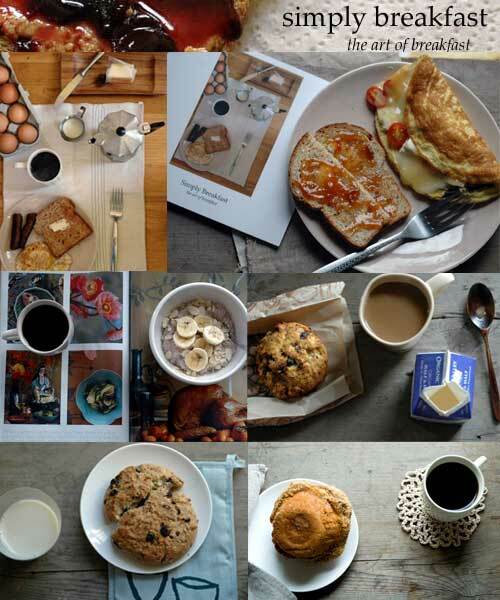 Looking at some old posts on Simply Breakfast, the art of Breakfast, Jen, has some wonderful Blurb books based the fantastic photography done while chronicling her breakfasts. I have a friend, In2Jazz, that takes killer photos. He is destined to a wonderful book of jazz festivals in California. I want a copy!. So, a Blurb book it is. This little book will be my coffee table masterpiece. Blurb. Oh what a disappointing shop today. I went shopping for fabric to make a blouse to go with a simple suit. I am making this OOP Butterick pattern, 3916, for an event at church next week. It is a simple shaped jacket that calls for a simple top. I thought I could find a print to make a simple shell. It would be all about the print. Just a little peek under the jacket. There is a dearth of fabric stores to choose from locally. I headed out out to one of the two possibles, Hancock and Joann’s. Those are in fair distance of home. Both of them entail a freeway excursion, never the less. The Joann’s appears to be closed or I was lost. The Hancock had a horrible selection for just a simple item. All alternatives are online. Fabric shopping on line has become a big business and a staple. Granted, you have to become somewhat savvy in interpreting a photo and description in lieu of the actual fabric. Some vendors are better than others. Most vendors offer samples at a cost. You need to find recommendations. There are places for that as well. I miss the opportunity to feel the fabric before buying and buying at once. In course of writing this post, I have calmed a little after my disappointing shop. At least it was a sunny spring like day. This evening I will commence on my suit. At some point I will find the blouse to set it off. 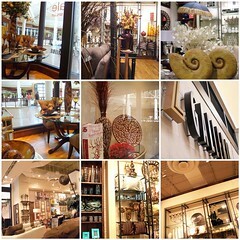 Another store gone from the Galleria. I so loved Z. I don’t know if the company has gone bust or not. I don’t think there was a big going out of business sale. If so, I missed it. I must admit, stock looked a little slim last time I was in. Another sign of the economic times. Resolution. I experienced some resolution today. Resolution can refer to an element of fiction, a historic formal statement of opinion or policy, medical subsiding or termination of an abnormal condition, logical rule of inference, a legal deliberative motion or possible a technique in music theory. My day hit on at least three of those references of resolution. It was a day wrought with resolution. The lovely photo has nothing to do with the day’s resolution. It is simly a wonderful bedroom photo. The photo is by photographer JacobTermansen.